Putting together this stroller comparison chart was a fun project, but a LOT of work. This chart has TOP single strollers that are sold on today’s market. It took me a few weeks to find and sort all the information and another week to set up the chart. My goal was to create an easy way to compare different strollers in one place (something that I couldn’t find anywhere). One of the most important factors when choosing a stroller is its weight and that was THE hardest thing to find. I had to go to the manufacture site for each stroller to see what the correct weight is. Surprisingly, some of them give you all the information in the world, but not the weight. Many of the sites that sell strollers including Amazon, provide incorrect weight info. That is why I wanted to make sure I provide you with the MOST accurate information. Many strollers are available in other colors than displayed in my chart. I tried to find the lowest prices for each stroller to save you money (Keep in mind, prices can vary depending on the color). I’ve also put together a list of top 20 best strollers for 2018 that you can buy right now. All of these strollers have received the highest reviews from me and the parents. This is a dynamic chart that sorts information without reloading this page. To sort information, click on little black arrows at the top. You can use a ‘Search Box‘ to filter information. To see only jogging strollers, type ‘jogging’ in the search box. If you think I missed any of the strollers, please let me know by using comment box below and I will add it to the chart. When putting together this chart, I was debating whether I should combine all the of the strollers in one chart, like I did above, or separate them by stroller type (lightweight, jogging, standard). Since this chart is so long, it might take a while to load. How about the Graco Modes Click Connect? Hi Susan – Do you have a full review of the Stokke Crusi? Are any of the Armadillo family by Mamas & Papas considered lightweight? I would love to see a comparison chart for COMPACT strollers. Thank you so much for all this awesome, in depth info!!!! I am pretty set on getting a Bob as a jogging stroller, but am debating what to do for my initial errand-running stroller (and infant car seat). I am debating between the Chicco Key Fit with Key Fit Caddy or the Britax B-Safe with the Britax B-Agile. What would you recommend? Thanks! hi, thanks for this awesome website! very helpful and informative! 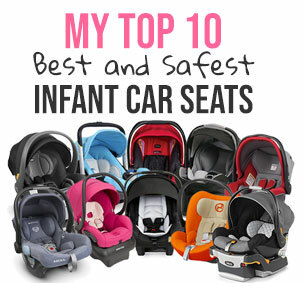 Can you review the maclaren volo and quest, JOIE strollers (especially chrome and mirus), jette strollers, easy walker mini buggy, babystyle oyster light & move, einhill armadillo 2 and combi well comfort? Sorry for asking too many reviews hehe.. because in Indonesia, there’s lots of strollers and it makes me really confuse to choose. Please review Graco Aire3 Click Connect and Graco Modes Lite travel systems. I am looking for a stroller that you can click an infant car seat to, that I can take walks with on dirt paths, and is still as light weight as possible. Does anything like this exist? First time mom and am trying to learn all the options! I’d recommend going with – what I have – the City Mini GT. It’s great, sturdy, not heavy and compact.